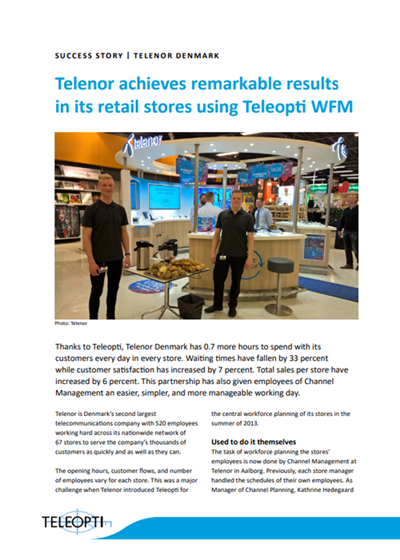 Thanks to Teleopti, Telenor Denmark has 0.7 more hours to spend with its customers every day in every store. Waiting times have fallen by 33 percent while customer satisfaction has increased by 7 percent. Total sales per store have increased by 6 percent. This partnership has also given employees of Channel Management an easier, simpler, and more manageable working day.